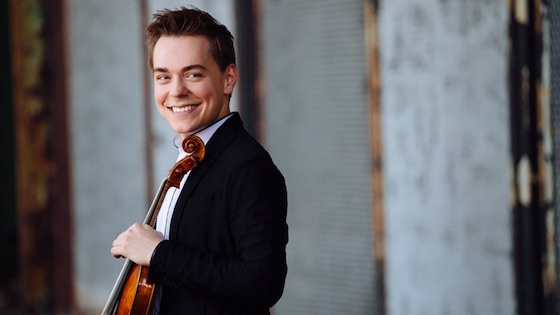 February 8, 2019, 3:22 PM · Welcome to "For the Record," Violinist.com's weekly roundup of new releases of recordings by violinists, violists, cellists and other classical musicians. We hope it helps you keep track of your favorite artists, as well as find some new ones to add to your listening! This album features works by Bernd Alois Zimmermann, including his Violin Concerto, which is a relatively early work that premiered in 1950 and was largely neglected thereafter. Other works include "Photoptosis" (1968) and "Incidence of Light." Two of their recordings were nominated for Gramophone Awards in 2018. Seattle-based violist and composer, Melia Watras, has used Schumann’s "Märchenbilder" (Pictures from Fairyland), for viola, Op. 113 as the inspiration for five world premiere compositions. In addition to three new works by Watras, the album includes new works by Cuong Vu and Richard Karpen. Featured performers include Watras, trumpeter Cuong Vu, pianist Winston Choi, vocalist Galia Arad, violinist Michael Jinsoo Lim, and percussionist Matthew Kocmieroski. "For my album Schumann Resonances, I wanted to use Märchenbilder (Pictures from Fairyland) as a building block, traveling in new directions with world premiere recordings of compositions by me and two of the most creative people I know, Cuong Vu and Richard Karpen," Watras said. "The only guideline for the new pieces was that the point of departure be this composition of Schumann: through Märchenbilder itself, or inspired by fairy tales or other folklore (including folk songs)." BELOW: From the album: "Berceuse with a Singer in London" for voice and viola, by Melia Watras, with text by Michael Jinsoo Lim.